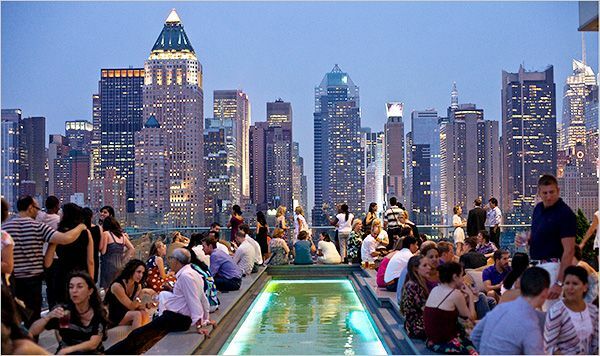 Exciting cities provide amazing backdrops for weddings and receptions. The skyline, the skyscraper atmospheres, elegant ballrooms and drama of the lights coming on across the city in the evening. Many event and wedding spaces provide rooftop gardens and terraces bringing the outdoors in to enhance your wedding and reception. There are specific details we encourage couples to look for beside the pricing, size of the space, and overall upkeep of a site. #1. When food is served, the proximity to the kitchen and being out doors can lead to cold food. With cocktail receptions, this is not a concern, but with seated receptions, it can be a big one. You can off-set this by asking questions ahead of time: How do you keep the food hot for the guests? Can you serve barbecue or grilled items? #2. We are never in charge of the weather. So much for thinking so. Select a site with indoor and outdoor terrace to be your less stress situation. With an interior ballroom and windows looking out on that view, adds to the flavor of your day....and moon filled nights - even more so. #3. Indoor ballrooms with windows to the world are often elegant and add a great deal of atmosphere to your reception. Our tip here is to consider the carpet and flooring colors of the ballroom. Your selected theme colors may not work well with what is there. We can do a great deal with lighting, but the flooring cannot be changed easily. #4. Big City Weddings incur parking problems for your guests. Some locations offer free parking for up to a certain number. Other sites require valet parking. It is nice to include a note in your wedding invitation regarding parking options. Also, we see couples block off fees at a specific garage as part of their budget. Always ask what the hotel or building management suggests. #5. Your guests entering a hotel or major building may not understand which elevators or which ballroom you are in. Prepared Signage is a great assistance. Well placed at the hotel/building entry and near the elevators, or ask a building personnel or friend to the wedding party direct from these areas. Trust these TIPs and ideas have helped, we would love you to add your ideas. Join In The Conversation ! He popped the question & you have hundreds of questions running through your mind. that links directly to the website of the venue or service. Click on the link. He Popped The Question!! 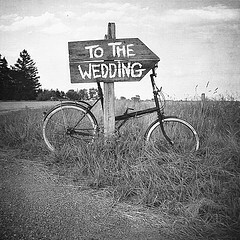 You Are On Your Way To Planning A Wedding !! "Best Style Wedding & Honeymoon digital magazine for California. #1. Approximate time of the year and theme/style wedding you want. #2. Your number of guests from family, friends and business relationships. #3. Your budget. This involves 50% to make deposits for venue and service reservations. #4. Do you want it catered by professionals. The size and The catering can be the tricky questions. A catered hall or hotel, you may not like their food, but love the hall. You may have friends who want to gift you with catering services - and many venues do not allow other chefs in their kitchens. Also falling in love with a facility that does not have enough room or is too pricey, can be a threat to successful planning. First of all, you want to look for a large planning portal that lets you know the number of guests and the general ambiance of a location and its city. Couples want ambiance: Beach, Garden, Vineyards, Historic, Mansion, B&B or Inn, Major ballroom in hotels and restaurant banquet rooms.